Another case of Congo virus has come to light in the metropolis with a 20-year-old getting diagnosed, elevating the total number to four this year. 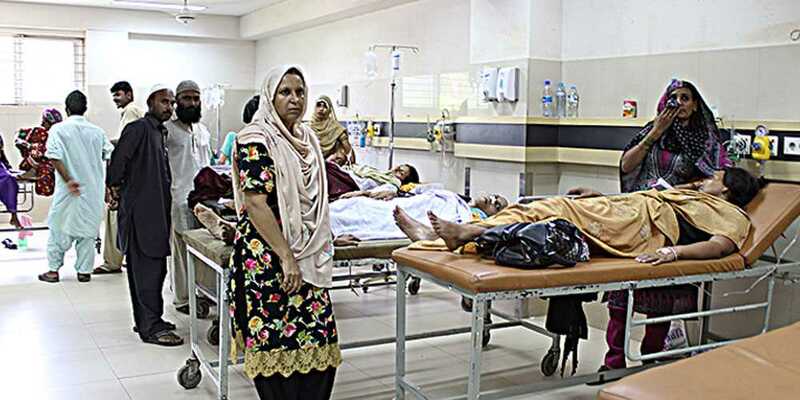 Pervaiz, inhabitant of Karachi’s Saforoa Goth area was diagnosed with Congo virus at Jinnah Postgraduate Medical Centre after he exhibited signs of Congo Crimean Hemorrhagic Fever (CCHF). Earlier in the month of August, another citizen identified as 23-year-old Salman, got infected by the disease. Individuals are prone to the CCHF when a tick attaches itself to the skin of the cattle, while those in close interaction with the infested ticks or animals can be led to the disease which is said to have a mortality rate of 40-50 percent. The primary symptoms of the disease that starts abruptly consist of headaches, high fevers, rashes, back pain, joint paint, stomach pain and vomiting. 2. Wear light colored clothing for easy finding of ticks on clothes. 3. Wear protective clothing (long sleeves, long pants). 4. Tuck your pant legs into your socks so that ticks cannot crawl up inside of your pant legs. 6. Use fine-tipped tweezers (or a thread) . 7. Grab the tick as close as possible to the skin. 8. DO NOT twist or jerk the tick. 9. Gently pull straight up until all parts of the ticks are removed. 10. Wash hands with soap and water. Apply antiseptic on tick bite or clean with soap and water. 11. NEVER crush a tick with your fingers. Avoid contact with infected CCHF patients and deceased. 12. Wash hands regularly with soap and water. 13. Encourage early treatment in CCHF Treatment Center. 14. Use gloves and mask and practice hand-hygiene when caring for suspected CCHF patient at home. Seek health advice.